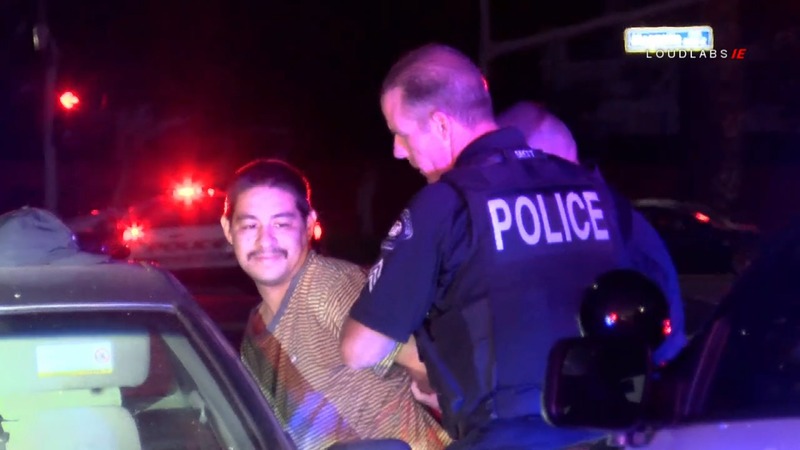 On Tuesday evening July 03, 2018 a suspected DUI driver led Officers with the Corona Police Department on a slow speed pursuit thru the City. The suspect, an adult male, refused to stop for pursuing Officers all the while seeming to obey other traffic laws. At one point, Officers deployed a spike strip at Magnolia and Fullerton. The driver attempted to drive around them but Officers quickly readjusted the spike strip and were able to sucessfully spike the two passenger side tires. The suspect continued to drive on two tires weaving his way around residential neighborhoods. The pursuit started at the Walmart in the area of Rimpau and Ontario around 7:40pm and went on for roughly 45 minutes until Officers were able to perform a successful PIT maneuver on Fullerton just south of Stone Pine. The suspect was taken into custody without further incident around 8:35pm.